The need for building a new bridge emerged after the old Romanesque Judith Bridge (Juditin most, built around 1170 and named after king Vladislav I’s wife Judith) was torn down by a flood in 1342. By a rare coincidence, we know the precise moment of laying the foundation stone of Charles Bridge, personally assisted by Charles IV: July 9, 1357, 5:31 AM. The palindromic number 135797531, carved out on the Old Town bridge tower, was chosen by the royal astrologists and numerologists as the best time for starting the bridge construction. The building was supervised by Peter Parler and lead by a “magister pontis”, Jan Ottl. The old town end of the King Charles Bridge was built from Bohemian sandstone. There is a legend saying that eggs were used to enrich the mortar used to bind the stone blocks to make it harder. Although the saying cannot be verified, modern laboratory tests have indeed shown inorganic and organic ingredients in the mortar. 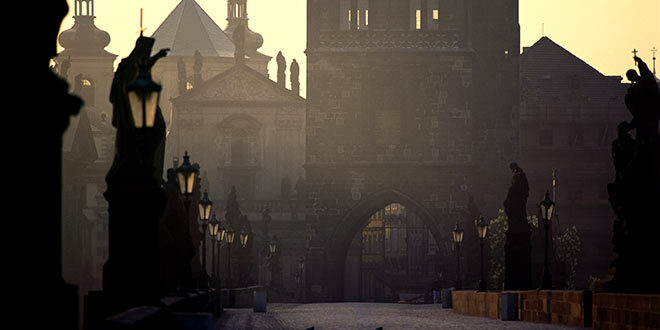 The construction of Charles Bridge took place till the beginning of 15th century. To sustain the bridge, tolls were taken, first by the religious order of the Knights of the Cross, who had their mother-house nearby, then by the Old Town municipality (until 1815). 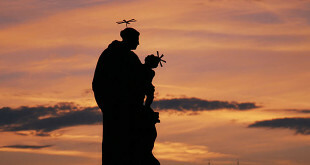 Throughout the history, Charles Bridge suffered several disasters and witnessed many historic events. A flood in 1432 damaged three pillars, in 1496 the third arch (counting from the Old Town side) broke down after one of the pillars lowered, being undermined by the water (repairs finished in 1503). A year after the Battle of White Mountain, when the 27 leaders of the anti-Habsburg revolt were executed on 21 June 1621, the Old Town bridge tower served as a deterrent display of the cut-off heads of the victims to stop Czechs from further resistance. During the end of the Thirty Years’ War in 1648, the Swedes occupied the west bank of Vltava and as they tried to advance into the Old Town, the heaviest fights spread out right on the bridge. During the fighting one side of the Old Town bridge tower (the side facing the river) was severely damaged and the remnants of almost all gothic decorations had to be removed from it afterward. During the late 17th and early 18th centuries the bridge gained its typical appearance when an alley of baroque statues were installed on the pillars (see below). During a great flood in 1784, five pillars were severely damaged and although the arches didn’t break down, the traffic on the bridge had to be greatly restricted for some time. Going into the 19th century, the original stairway to the Kampa Island was replaced by a new one in 1844. The next year (1845), another great flood threatened the bridge, but the bridge escaped major damage. In 1848, during the revolution days, the bridge escaped unharmed from the cannonade, but some of the statues were damaged. In 1866, the pseudo-gothic gas (later changed to electric) lights were erected on the balustrade. In 1870s, the first regular public transport (omnibus) a line went over the bridge (officially called “Charles Bridge” after 1870), later replaced by a horse-tram. The bridge towers underwent a thorough reconstruction between 1874 and 1883. On 2-5 September 1890, another disastrous flood struck Prague and severely damaged the Charles Bridge. Thousands of rafts, logs and other floating material that escaped from places upstream gradually formed a huge barrier leaning against the bridge. Three arches was torn down from the great pressure and two pillars collapsed from being undermined by the water, while others were partly damaged. With the fifth pillar, two statues – St. Ignatius of Loyola and St. Xavier, both by Ferdinand Brokoff – also fell into the river (the former statue was replaced by a statuary of Cyril and Methodius by Karel Dvorák, the latter was replaced by a replica of the original). Repair works lasted for two years (the bridge was reopened on 19 November 1892) and cost 665,000 crowns. In the beginning of the 20th century, Charles Bridge saw a steep rise of heavy traffic. 15 May 1905 was the last day of the horse-line on the bridge, this was replaced with an electric tram till 1908 and buses afterward. At the end of World War II, a barricade was built in the Old Town bridge tower gateway. A capital repair of the bridge took place between 1965 and 1978, based on collaboration among various scientific and cultural institutes. The stability of the pillars was reassured, all broken stone blocks were replaced, the asphalt top was removed and all traffic has been excluded from the Charles Bridge since then, making it accessible by pedestrians only. The repair cost over 50 million crowns. During the 1990s, some voices appeared, criticizing the previous reconstruction of the bridge and proposing a new one. As of the beginning of the new millennium, most of the experts appeared to agree that the previous reconstruction had not been flawless but disputed the need for further interference with the bridge. However, after the disastrous floods of 2002 (which itself caused only minor harm to the bridge), it was decided to repair and stabilize two pillars (number 8 and 9) on the Malá Strana side of the Bridge. These are the only river pillars that have not been repaired after the 1890-floods. The floods intensified the voices of the supporters of an overall bridge reconstruction and, as of 2005, the current repair of the pillars is considered as the first phase of the reconstruction, which will concentrate on building a new hydro isolation system protecting the bridge. The whole reconstruction will be done gradually, without needing to close the bridge and is scheduled to finish in 2007.